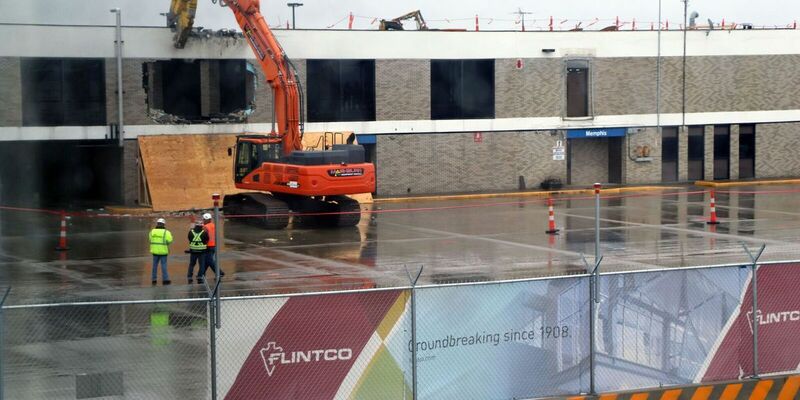 MEMPHIS, TN (WMC) - Crews began making major upgrades on Concourse B at Memphis International Airport Thursday. WMC Action News 5 was granted rooftop access as a crane tore down the concourse. 12 million people fly into Memphis every year and the airport is their first impression of the city. The modernization of the concourse will be a new welcoming handshake. "What it's going to lead to is a completely redesigned travel experiences for Memphis travelers," said MEM Marketing Director Glen Thomas. City leaders believe the project positions Memphis for future growth in air service, tourism, hospitality and economic development. Thursday’s work is just phase one of a multi-layered project that is expected to be complete by 2021. The project comes with a 214 million dollar price tag. "No local tax dollars are being use for the project. The airport doesn't receive tax revenue," said Thomas. "We have bonds and federal grants that were obtained to help pay for it and there is self funding as well." It is also funded by a new $4.50 one-way passenger service fee. The concourse will house 23 gates, accommodating six million passengers, or about 50 percent more airport traffic. "It's going to be wider, there will be more room to move, more natural light, a lot of extra amenities, a children's play area, a St Jude visitor's room as well. It's going to be a whole new travel experience," said Thomas. For now, passengers will have to practice patience as construction continues over the next two years.